I was looking in the archives of Yes I Can Pep Talks and came across the post below. It’s perfect for our chat about frenemies. 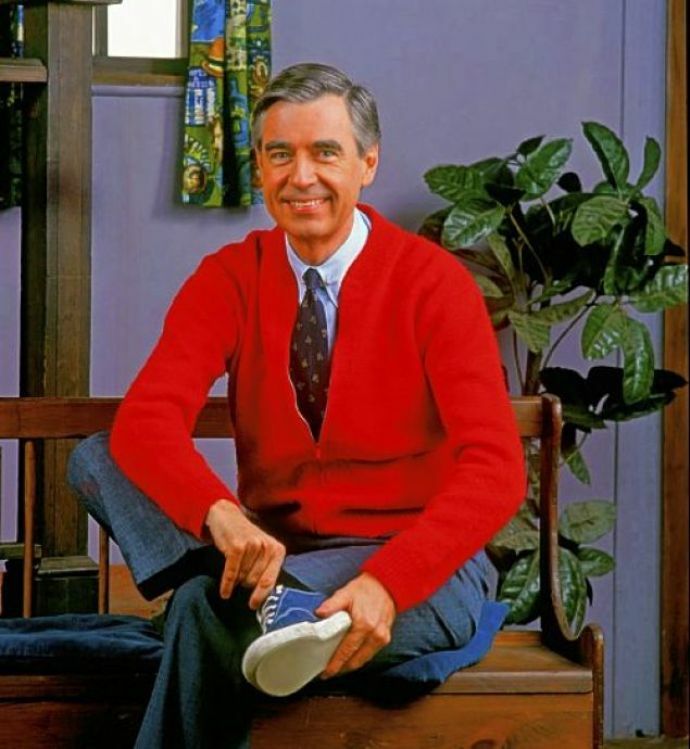 Thank you, Mr. Rogers, for thoughts that are a powerful antidote to a frenemy attack. Have you ever suffered a frenemy attack? Perhaps a colleague at work–someone you’d worked well with previously–throws you under the bus; now it’s you the boss is unfairly zeroing in on. Maybe, in confidence, you told a friend something very personal only to find when the whole group gets together that everyone knows…. After you recover from the shock and embarrassment, what do you say to yourself? I’m sure you have thoughts of anger and you may even think about revenge how you’ll avenge yourself.. You may feel fear or worried because this may negatively impact your career. You may be sad and disappointed that someone you thought was a friend turned around and betrayed you. NONE OF THESE THOUGHTS ARE TRUE!! THEY’RE ALL LIES!!! Choose on of these thoughts to keep handy–or one that you’ve thought of for yourself. When a frenemy attacks, repeat to yourself the positive statements about yourself. Frenemy is someone who acts like a friend–they’re nice to you and they seem to cheer you on to your goals–but in subtle or even overt ways, they sabotage you. They can make you feel bad about yourself and cause you to second-guess yourself. They may take credit for the work you’ve done and they may gossip about you behind your back. Frenemies have been around for a while. Both Cicero and Benjamin Franklin cautioned their peers about false friends–frenemies. Sometimes frenemies are easy to spot and easy to steer clear of. They’re obviously unhappy and nasty people and you naturally shy away from them. But sometimes they’re close to us and we don’t always recognize them for who they truly are. It could be that we work with them, or they’re in our circle of friends, or we may be related to them. How do you deal with these people, the ones we have no choice but to live and work with? ~If you can’t eliminated your contact with them, limit it as much as you can. Remember that it’s better to be alone for a while rather than spending time with a person who doesn’t celebrate you. It’s a big wide world out there and you’ll soon meet others who will be a true friend to you. ~Consider having a private conversation with the person. They may not be aware of their behavior and how it’s impacting your relationship. This can be a good strategy with people with whom you’ve had a great relationship before but lately you’ve felt picked on by them. Perhaps something has changed–you’ve gotten a promotion or your dream is starting to come true–and they feel unsure if you still value them. Even if the talk doesn’t go well, it can be an opportunity to set some ground rules and establish clear boundaries. ~Take a look at your own self-confidence. Perhaps they’re getting to you because you feel insecure or inadequate. What areas are you feeling unsure of yourself when your frenemy is present? What can you do to increase your confidence? ~Perhaps you’ve taken your eye off your game plan and it’s a reminder to refocus. Forget about “keeping up with the Joneses because there’s always going to be someone smarter, younger, cuter, fitter, richer, etc., than you. And trying to keep up with the Joneses can put you in contact with shallow materialistic people who tend to be frenemies. ~Be cheerful, kind, and compassionate. It might be too much to ask to behave this way immediately with your frenemy but you can behave pleasantly and with courtesy with the people around you. Not only will you strengthen your friendships with others but then when your frenemy talks behind your back, they’ll be shown to be the jerk, not you. Be cheerful, kind, and compassionate.